Please like this post if you're extra-ordinary. What's your most effective pick-up line? ﻿﻿﻿When the heat is up, it's ineviitable and easy to catch up on those travel dreams. Who wouldn't like to go places right? The world is huge and the excitement it offers is endless. Ironic as it may seem, wingless as we are, we all want to fly. I love watching animated films nowadays because most often than not, they are filled with so much valuable life lessons. Kids of course are not always as sensitive with the "meanings" behind these toons' plot, characters and dialogues, but we older wiser people are sensitive to these subtexts and wow, I love how cartoons mean so much! 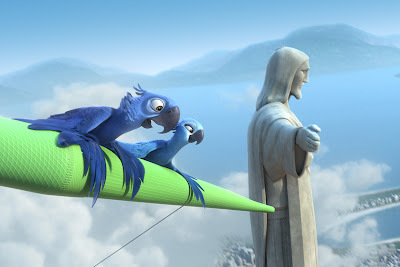 I love how Rio is a brave story on overcoming one's comfortabilities. :) It's great and refreshing. Build friendships or find love, whatever your purpose, a little dose of "travel" will definitely perk up your stressed heart. “Rio” nests on a domesticated rare macaw named Blu (voiced by recent Oscar Best Actor nominee Jesse Eisenberg of "The Social Network") who has never learned to fly and enjoys a comfy life with his owner and best friend Linda (voiced by Leslie Mann). 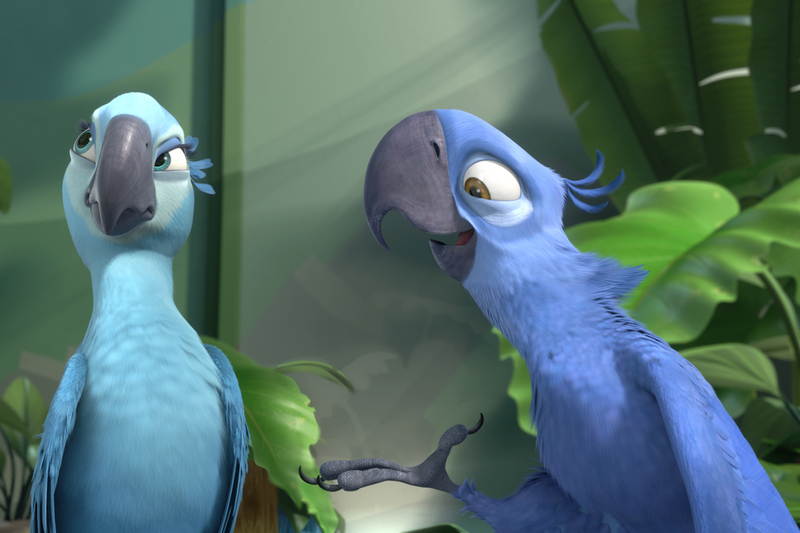 Blu’s journey begins in the not-so-domesticated Brazilian jungle, where as a nestling, he’s experiencing the joyous musical melodies of hundreds of birds flying and swooping around him. The sounds inspire the baby Blu to initiate his first attempt at flight, which is abruptly cut short when he and several other birds are captured by smugglers. Smuggled and transported somewhere in Minnesota, Linda adopted Blu and the two became inseparable since then. In the sheltered comfort and familiarity of Linda’s home and bookstore, Blu thrives; in fact, he’s more human than bird. “Blu has a checklist, a pile of books about the science of aeronautics, and a mountain of advanced math equations in which he’s quadrated vector angles – adjusting for wind shear, of course,” Eisenberg elaborates. “But it doesn’t work, because no book can unlock the art of flying for a bird.” Those secrets will be revealed only in Rio – and only through the rhythm of Blu’s heart and the rediscovery of his roots. Before I forget, don't you just love how metaphoric it is... that Rio is one of the world's most endangered bird species? I love how it subliminally conveys that sometimes, we think or decide to settle where we are, cause it's comfortable or safe but what we miss to experience is our capacity to share to the world our extra-ordinary-ness! That sometimes we choose to live in the box thinking we're not worth that much but in reality, the world needs us! Lessons are always waiting to be learned just as fears are always just waiting to be conquered. Despite all your layag, don't deny yourself a home. 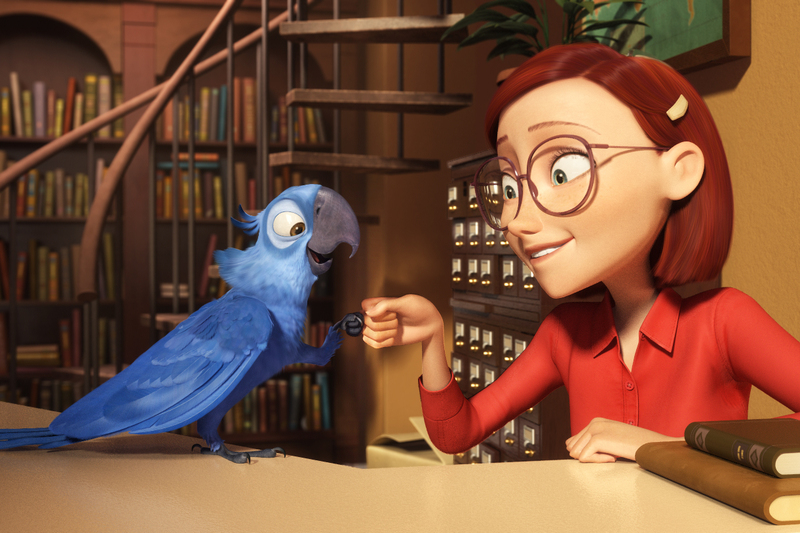 Rio opened up in theaters yesterday! 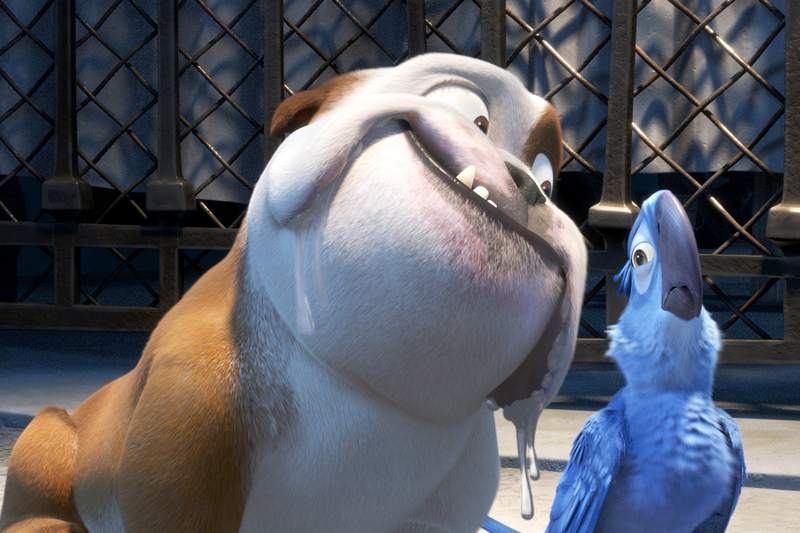 So go ahead and fly off to the season's cutest 3D animated film! Rio is from 20th Century Fox and is distributed by Warner Bros.